These “Joy” Blue by Betsey Johnson Ballet Flats are a solution to a problem: let’s face it, when you’re on your feet all day at the wedding, by the time the reception rolls around, you’re about done with the heels! Don’t go barefoot and get your feet dirty or use plain old flip flops…it’s your wedding day, so there’s no reason to compromise style! These flats are not only gorgeous, but they also count as your “something blue”! Party-perfect flats with plenty of sparkle and shine! 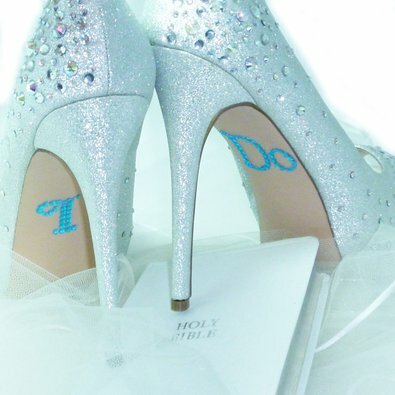 I Do Wedding Shoe Stickers are the perfect touch of “something blue.” These stickers are a whimsical addition that makes getting married that much more fun! When it comes to shoe designers, no one designer says “bride” quite like Badgley Mischka. Their shoe line is clean, sophisticated and totally drool-worthy. If you’re a shoe connoisseur such as myself, look no further than the Badgley Mischka Pearson D’Orsay Pumps for your big day. 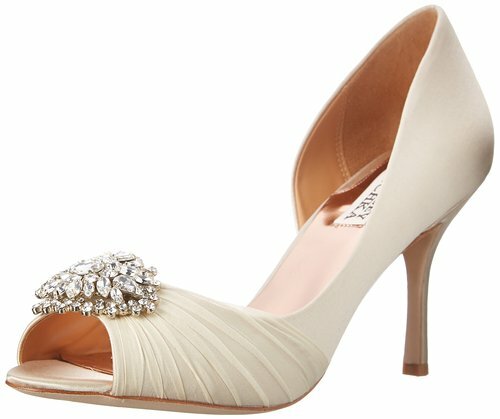 Badgley Mischka Pearson D’Orsay Pumps are the perfect bridal shoes. They’re elegant without being stuffy and chic while still fun. The ruching is an amazing detail and I love a good gem on a shoe. The open toe is the perfect finish to show off your bridal pedi. I wore Badgley Mischka pumps at my wedding. They are available in a variety of colors. (I chose navy for my something blue!) 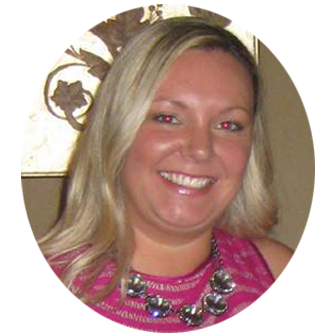 If you are debating between two sizes, order the larger size as they can run a little tight. The great thing about these Badgley Mischka pumps is that they come with a dust bag and extra jewels. 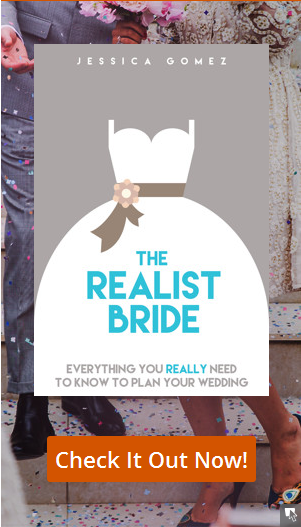 If I know anything, I know that things can “hit the fan” so to speak when it comes to the wedding day, so you’re going to want to be prepared in case of an emergency. Badgley Mischka makes sure you have nothing to worry about on the bridal shoe front. These breathtaking Badgley Mischka Pearson D’Orsay Pumps have a great heel height that will give you some leg length but are still manageable for the long walk down the aisle. Even if you’re planning on kicking your shoes off at the reception, you still have to stand through the entire wedding ceremony, so you’re going to want to be in bridal shoes that you can stand in for an extended period of time. You can’t go wrong choosing the highly rated Badgley Mischka Pearson D’Orsay Pumps for your big day! 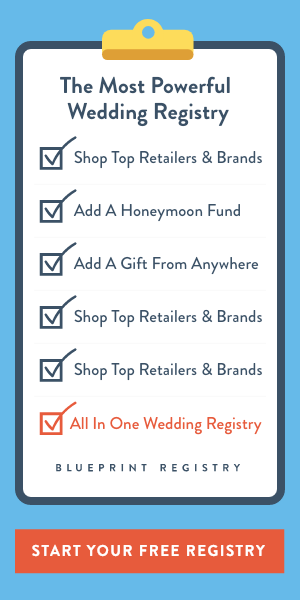 Your guests have not only celebrated your big day with you, but they’ve also (hopefully) given a gift. 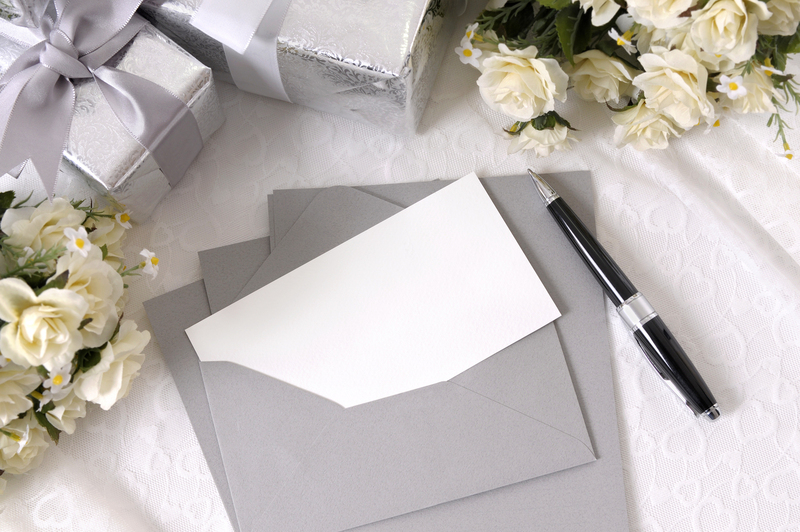 No matter how small the gesture, a thank you card is a must. It’s tough to get started with the thank you cards, but once you get rolling, keep going every day until you’re done.